A perfect match for your eyelashes that provides intense volume, length, and definition. The Mascara is a must-have for seductive eyes and intense, long, and separated eyelashes. The striated-bristle brush grips the lashes so that you can easily intensify your look, building volume with each coat. The carnauba wax enriched formula makes your lashes fuller with each coat. The formula is acacia gum-based to set mascara for longer wear. All the mascaras in the market these days come in bulky packaging and I guess it's the trend too. 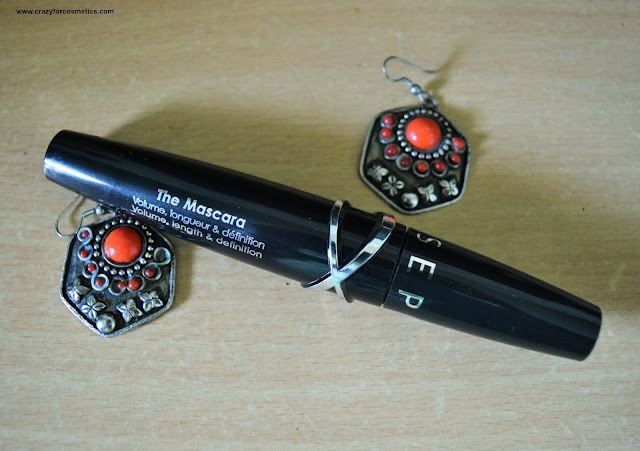 So this mascara comes in a black bulky packaging but it is pretty light weight and compact to store. 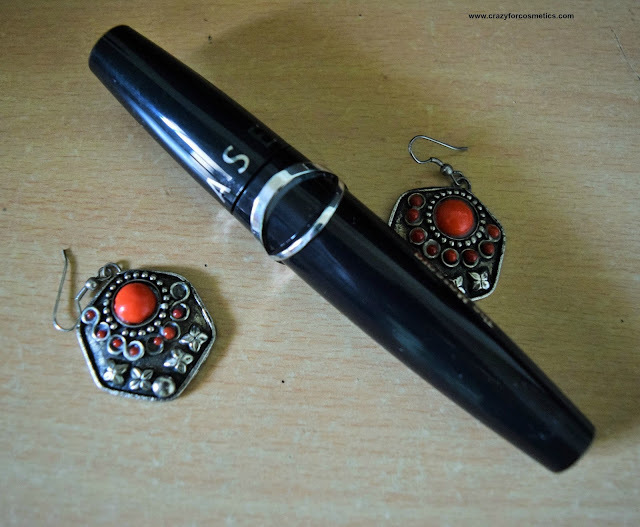 The wand is quite unique and can be easily used for application on the lower lashes as well. 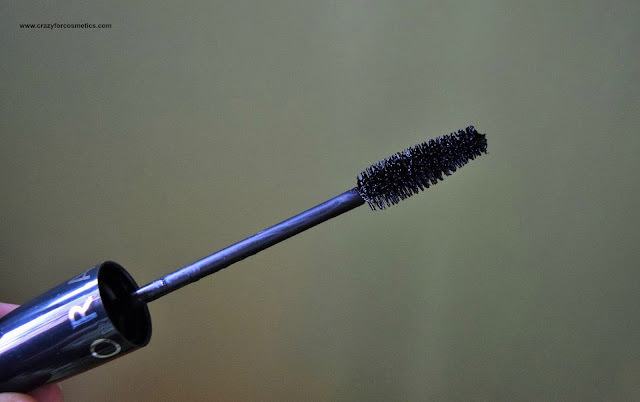 The formula of this mascara is pretty thin and it creates uniformly thick lashes when applied.However, its claim that it gives high volume and length does not hold good because it only gives volume to the lashes and does not have any lengthening effect on the lashes. 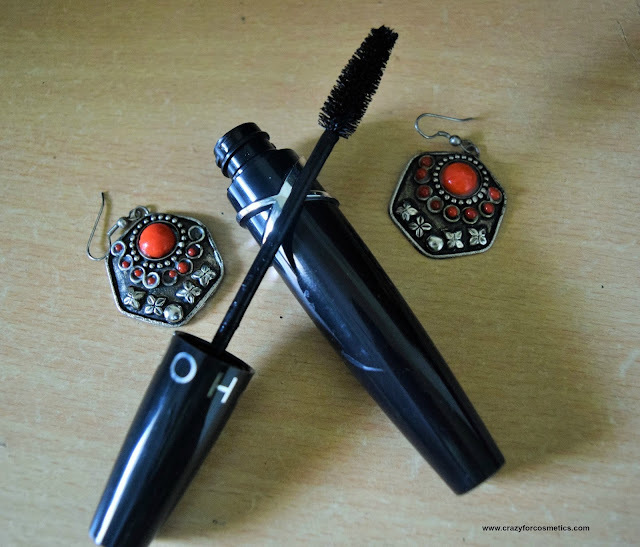 The mascara dries instantly on the lashes and the formula does not feel heavy. 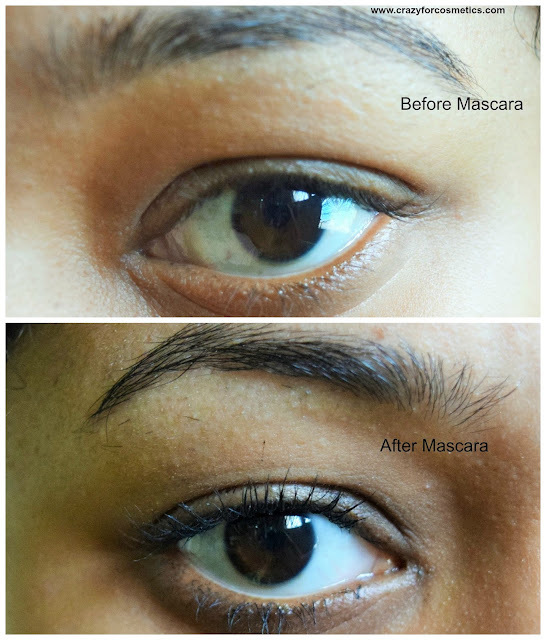 The effect is quite subtle and your lashes also feel moisturised. The mascara is not waterproof and hence you cannot wear this for outdoor activities and there is a high chance that it might smudge. The wand is slightly bent which enables us to use it for the lower lashes.While removing the product from the lashes, I did not notice any fall out of the lashes. Overall, it is an average mascara that can be used on a daily basis but not for special occasions. 2 : Gentle Volumizing effect. 3 : Does not feel heavy or drying on the lashes. 4 : Can be removed easily. 5 : No fall out of lashes. 1 : Not Waterproof - Smudges easily. 2 : No lengthening effect as claimed.